The Frankie Shop store in Paris is smaller than my front room (it's a little nook in Le Marais with three racks of clothes, shoes slotted on the staircase and two tiny changing rooms), but the reach of this boutique on Instagram is mighty. This is where power influencers are turning to this year for unusual pieces that stand out in street style pictures. 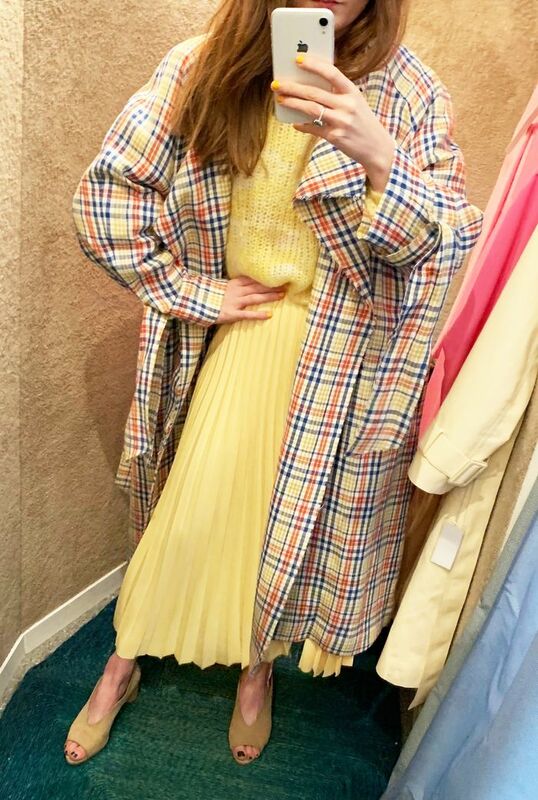 The It store stocks many of the Instagram greats such as Ganni and Nanushka, but it's also is a treasure trove for under-the-radar labels and its own designs. It might be small, but it's getting lots of attention in the industry right now; I went during Paris Fashion Week and bumped into three other London-based editors who were shopping there too. I went into the changing room armed with as many pieces that the assistants would allow me in order to work out what it is that the Frankie Shop does best. I wanted to buy the oversized trench coats, colourful wristlets, pleated midi skirts and an array of beige items, but I ended up buying a bright-pink blouse. And yes, it ships to the UK. Keep scrolling to see and shop the hero pieces from the Frankie Shop. The thing that most people were trying on during my hour in the Frankie Shop were the trench coats. The brand has perfect classic beige belted trenches, but I also fell for this colourful checked linen coat. The one thing I let myself buy from the Frankie Shop was this pink blouse with a neckerchief collar, which sadly isn't available to buy online. TFS has plenty other statement blouses with OTT Peter Pan collars and pocket detailing, though. One of the items I keep seeing Parisian influencers wearing from the Frankie Shop are the pleated skirts, such as the green one I tried above. 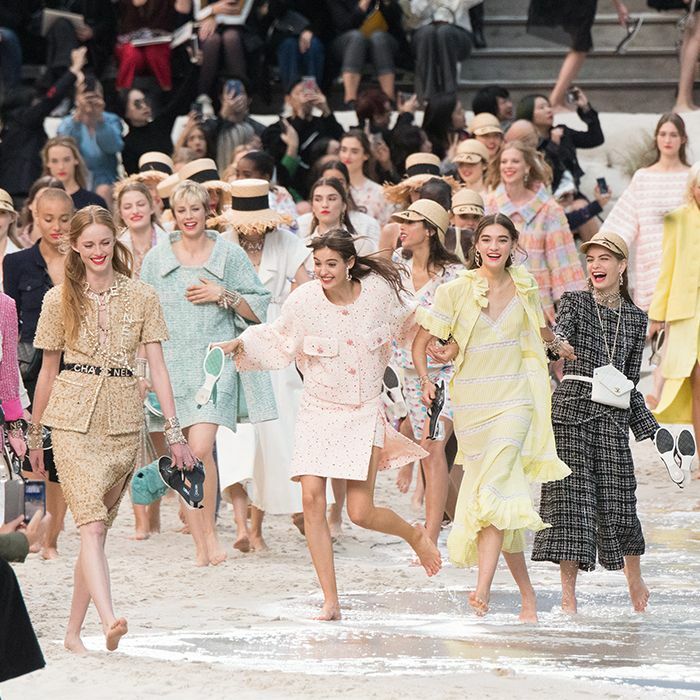 One-half of the rails were dedicated to items in pale yellow, beige and tan. This is one of the brands behind many of the tonal looks worn by street style stars over fashion month. The Frankie Shop is an amazing place to find under-the-radar cult bags such as the colourful wristlet and tote bags hanging in the window.